There is nothing more irritating than a broken phone or tablet. We specialize in repair of Apple, Samsung, Nokia, HTC, LG, Huawei and Sony whether it's a cracked screen or faulty battery taking your valuable time and money to get it repaired. We are now offering a new local collect and delivery repair service, this includes having your damaged device collected from your home or place of work and then repaired at our service center and delivered back to you for only an additional £9.99 including VAT. 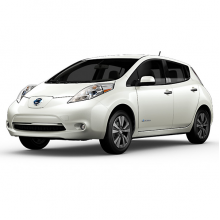 The local collect and delivery repair service is operated using an economic and environmentally friendly Nissan LEAF, which is a 100% electric car producing zero emissions while driving. We feel this is a benefit not only for the environment but also for you as a time saver. By using a 100% electric car we are making a contribution towards reducing pollution and helping reduce CO2 emissions. By using our local collect and delivery repair service it does not interrupt your daily plans, you do not need to worry about driving all the way to the iTech Repair Service Centre. Another benefit is if you do not drive you have no need to worry about dropping your phone or tablet off with us. The local collect and delivery repair service is available to all customers within a 15 mile radius from iTech Repair in Enderby. Areas that are within range of the 15 mile radius are villages such as Narborough, Braunstone, Oadby, Wigston, Broughton Astley, Lutterworth, Hinckley, Nuneaton, Bedworth, Earl Shilton, Ibstock, Coalville, Quorn and many more. If interested in using the local collect and delivery repair service then do not hesitate to call us on 0116 2866447 or alternatively if ordering a repair on the website you will be presented with this option while completing the checkout process. Loves playing football and taking part in the Duke of Edinburgh award scheme, interests include gaming consoles, climbing, archery and studying business and exploring the way the world works.